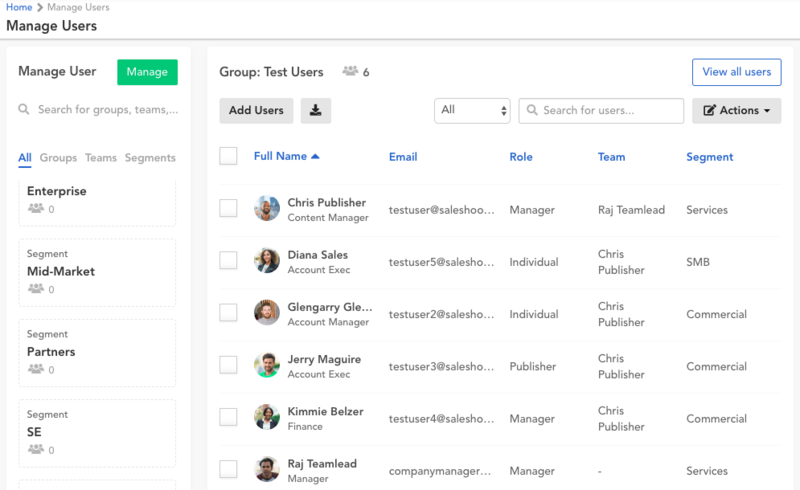 User management is available to Coaches (who can add/manage all users in an instance) and Managers (who can add/manage users on their team). To access the user management page, click on the hamburger menu and select Manage Users. There are 3 methods to create a new user in your instance: Add (via email invite), Import (via csv/xls/xlsx file), and Text input. Add users: select the users’ Role, Manager, and input their email address. This workflow sends the user an email invitation to SalesHood. They will need to access the email to activate their account. If the user already has an active account in SalesHood, they will instead be directed to login to their main instance to switch between instances. 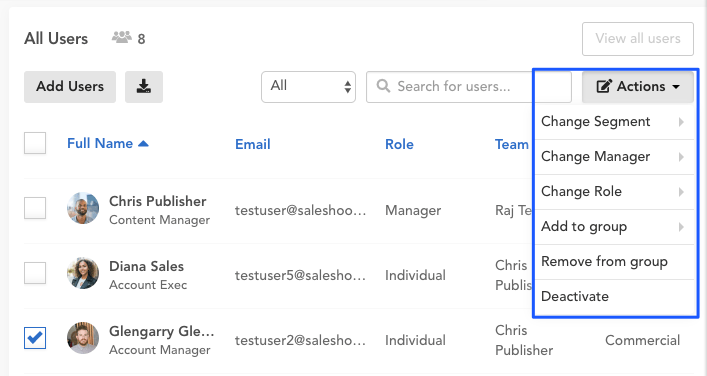 Import users: upload a csv, xls, or xlsx file with columns for First name, Last name, Email, Title, Role, Team (managers’ email), and Segment. If your instance uses password authentication, we will ask you to set a password for the imported users. Text: you can import users via text input by using this format (each user on a separate line): First Name, Last Name, Email, Title, Role, Manager’s Email, Segment. In the lefthand column, you can search and manage Groups, Teams, and Segments. In the righthand column, you can search and manage Users. How are user roles defined?